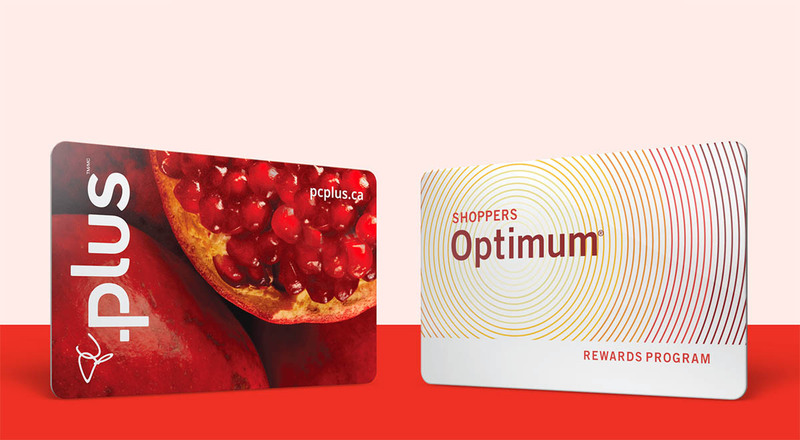 Customers at Shoppers Drug Mart or any of Loblaw Companies Ltd.’s grocery stores will soon use a new, unified loyalty program that replaces Optimum and PC Plus points. Loblaw will merge the two programs starting Feb. 1, 2018 under the name PC Optimum — a long-anticipated move that comes more than three years after the grocery giant acquired the pharmacy chain and its in-house Shopper Optimum system. “We’re bringing the very best of Shoppers Optimum and PC Plus together,” said Uwe Stueckmann, senior vice president of marketing. Consumers can keep collecting points as usual until Feb. 1 next year, when their Optimum and/or Plus points will move to the new program at equal value. (For example, if a collector has $100 worth of Optimum points, they will receive $100 worth of PC Optimum points). In Quebec, where Shoppers Drug Mart operates under the name Pharmaprix, the Pharmaprix Optimum program will end on Jan. 31, 2018 and members will have until May 2 that year to redeem their points or convert them at equal value to the new program. Collectors will then use a single card or app and continue to earn points on money spent at Shoppers. They’ll also be able to earn points through personalized offers and in-store promotions at all stores, and by using the President’s Choice Financial MasterCard. How many of the new points do I need for $10 off? The new program will have an easy-to-remember redemption system, with 10,000 points valued at $10, 20,000 points at $20, and so on, to a maximum single transaction redemption of $500. Shoppers can use their reward money at any of Loblaw’s nearly 2,500 stores and the company’s websites. Wait, will I need more points to get the same redemption? Yes, but consumers will earn 50 percent more points for almost every dollar spent at Shoppers Drug Mart locations to help account for the higher number of points needed for each redemption level. Under the current Optimum program, collectors earn 10 points for every $1 spent, but need 2,000 fewer points to buy $10 worth of goods, for example. PC Optimum has a handy calculator you can use to see how many points you’d have in total after the changes take place. How do I make sure my old points switch over? And what about a new card and linking my accounts? The company is advising consumers to keep their old cards until you’ve got a new account: “When the PC Optimum program launches [on Feb. 1 2018], your points will automatically become PC Optimum points. Then, the next time you shop, the cashier will ask you to swap your existing Shoppers Optimum and/or PC Plus card for a PC Optimum card so you can continue to earn and spend your points. You can also start by downloading the app or create an online account and follow the prompts on screen to link the points from your current card(s).” Once you make a new PC Optimum account, online prompts will walk you through merging all your various accounts and cards. You can also invite any family members that shared your old account to share your new one. The old PC Plus app will update to a new, PC Optimum app on Feb. 1. But you’ll need to make a new online account to keep getting offers. If you have the Optimum app, you’ll be asked to download the new app after Feb. 1. More than 19 million active members make up the base of the two current programs, with at least 50 percent of members enrolled in both, said Jim Noteboom, senior vice-president of loyalty and consumer insights. After Loblaw acquired Shoppers in 2014, Noteboom said consumers told the company they wanted one program rather than two separate ones because it would make their lives easier. “Make it one program, that’s easy to understand and easy to earn, with points that are redeemable at all stores,” he said collectors told the company while it gathered research on its loyalty cards. Analyst speculation about a points merger has heightened since August when CIBC and Loblaw’s PC Financial announced they would end their nearly 20-year relationship. In its place, CIBC launched Simplii Financial — a no-fee direct banking brand — on Nov. 1. In the breakup, savings, chequing and mortgage accounts went with Simplii, while MasterCard credit cards and the PC Plus points program remained with PC Financial. The change means PC Financial debit card holders no longer earn PC points when using those cards. Both spokesmen said that the end of the company’s relationship with CIBC was unrelated to the decision to merge both programs, which has been in the works for a few years.